At the 1854 Battle of Balaclava during the Crimean War, British cavalry were ordered to attack withdrawing Czarist artillery brigades. By the time the order cascaded down the chain of command, however, it misdirected the British horsemen into a hail of fire from Russian guns. The debacle caused a furor in England, and inspired Alfred, Lord Tennyson, to pen “Charge of the Light Brigade,” with its mournful refrain: Into the valley of Death rode the six hundred. 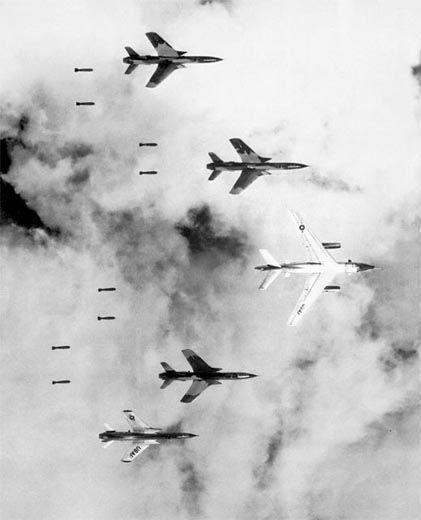 Just over a century later, something like that infamous charge was performed in modern dress, this time with airplanes, and with the Russian weapons hidden in the forests of North Vietnam. And this time the action was not completed in a single day, but recurred, every morning and afternoon, weather and politics permitting, for more than three years. Charge of the Light Brigade, meet Groundhog Day. 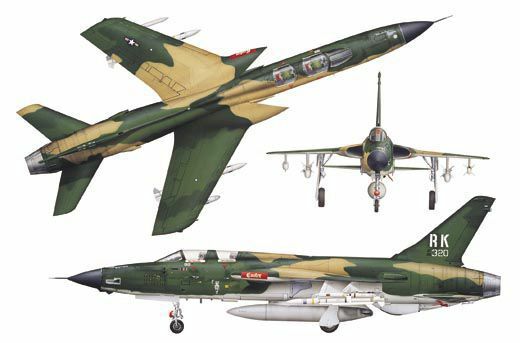 The Republic F-105 Thunderchief, the main aircraft involved in the drama, had never been intended to play the role of a strategic bomber. Rather, it had been created to make a single, low-level nuclear strike—to use its potent stinger once, then die, like a bee. In January 1952, the U.S. Air Force was seeking such an aircraft, one that could penetrate enemy territory and take out military bases with both conventional and atomic weapons. At Republic Aviation’s Farmingdale, Long Island plant, such an airplane was already taking form as Advanced Project 63 under legendary Russian émigré designer Alexander Kartveli. 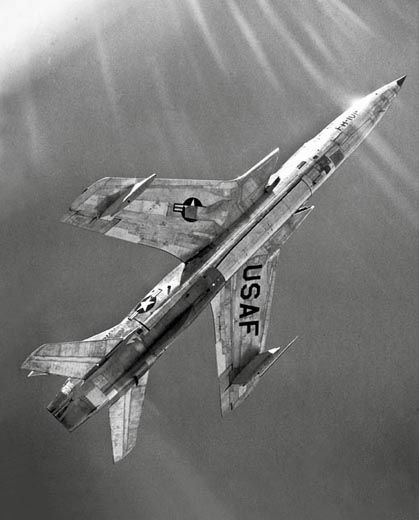 Republic Aviation was awarded the contract, and the YF-105A first flew on October 22, 1955. 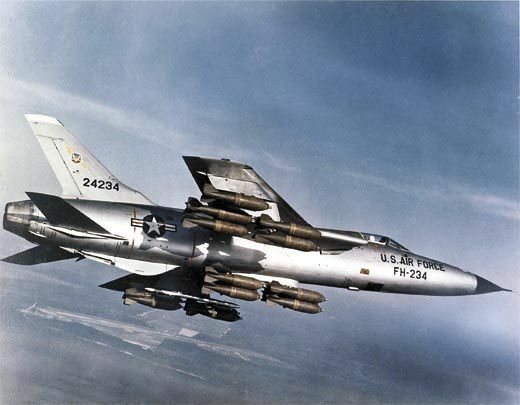 The F-105 seems to have accreted around the single Mk-28 thermonuclear bomb it would carry in a fuselage bomb bay. About the size of a mansion-grade hot-water heater, the weapon could deliver anything from 10 kilotons to more than a megaton of explosive power. The Republic design team took the tubular fuselage of the company’s F-84, a fighter-bomber used extensively in the Korean War, and gave it an area-rule pinch at the waist to improve the transonic behavior of what would become a Mach 2-plus airplane. Wing-root inlets were swept forward to prevent engine stall, and a new Pratt & Whitney J-75 turbojet replaced the proposed J-71. 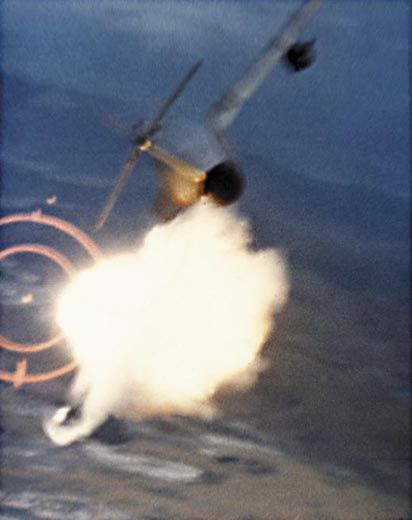 In an era when guns were so 1950s, compared with missiles, someone added a 20-mm Gatling in the Thunderchief’s nose. 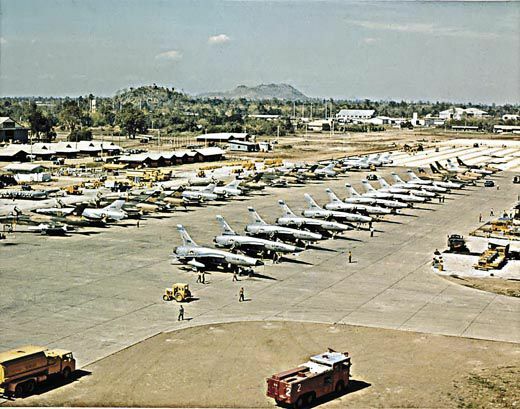 In 1957, a year before the F-105 entered service, the Air Force had Republic upgrade it with new navigation electronics and radar for all-weather operations, a fire-control system, and a more powerful version of the J-75 engine. 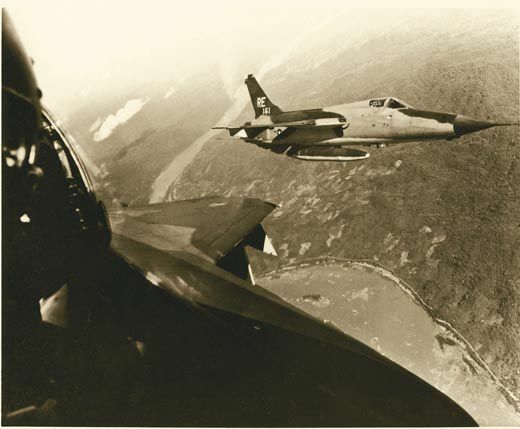 The changes yielded the fully evolved, stiletto-shaped F-105D. The aircraft’s 45-degree swept wings measured, tip to tip, not quite 35 feet—about the same as a Piper J-3. But it was no trim little thing. The -105’s vertical stabilizer towered 19 feet above the ground, about the height of the vertical stab of a Boeing B-17G Flying Fortress, and its fuselage was only about 10 feet shorter than the Fort’s, making the F-105D the largest single-engine jet aircraft ever sent to war. With some fanfare, the D model entered service in September 1960. 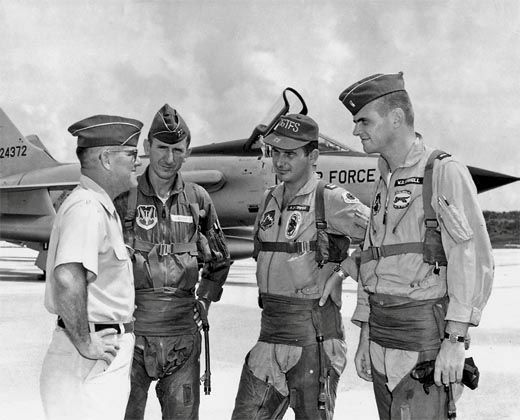 Wrote a New York Times reporter: “The Air Force rates the Thunderchief as the most devastating system of destruction ever controlled by one man.” Accordingly, only high-time fighter pilots were sent to Nellis Air Force Base in Nevada to learn how to wield that power. “You had to have a thousand hours before they let you fly the thing,” recalls Michael Cooper, a Nellis grad. 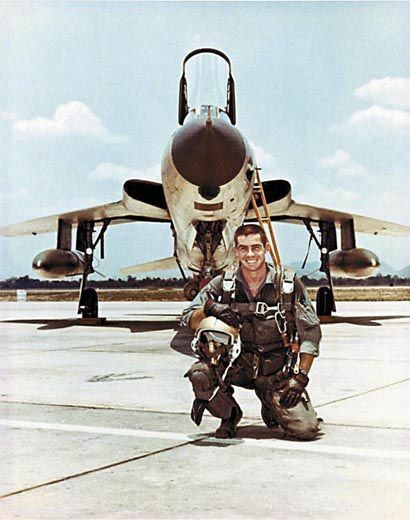 He’d won his wings in 1955, and had been flying North American F-100s. “We transitioned to the -105s in the summer of ’63. I went down to Mobile, Alabama, and picked up a brand-new airplane. Took it home.” Cooper still remembers the serial number, 62-4372. The aircraft flew until 1980, when it crashed during a NATO training exercise in Denmark. “It was a great airplane,” says Cooper. “Not much of a fighter. But it was so much faster than everything else. 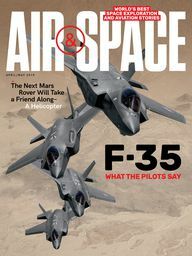 The Navy F-4s, we’d fly right through their formations,” closing from behind. The Nellis grads were sent off to the frontlines separating East and West. 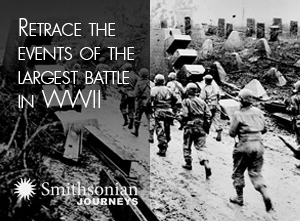 Some went to bases at Bitburg and Spangdahlem, West Germany, others were assigned to Yokota Air Base in Japan. 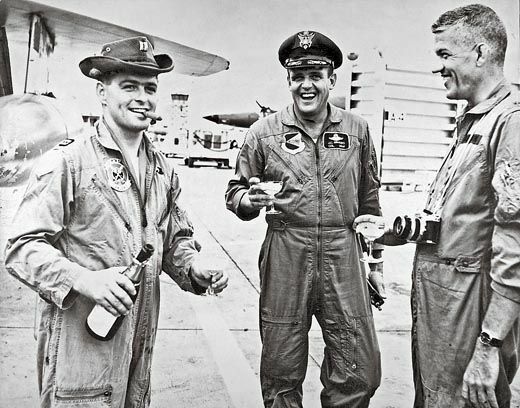 From the bases in Germany and at Kadena Air Base in Okinawa and Osan, South Korea, the pilots began standing alerts, nuclear weapons tucked into their airplanes’ bomb bays or hanging from wing pylons, waiting for the terrible moment to arrive. The moment never came. Fate had something else in store for the Thunderchiefs and the men who flew them. On the nights of August 2 and 4, 1964, two U.S. destroyers, Maddox and Turner Joy, reported an attack by North Vietnamese torpedo boats. Exactly what occurred has been debated for a generation, but, whether real or contrived, this became the Gulf of Tonkin Incident, and a call to war. Novelist and award-winning science writer Carl A. Posey was the author of seven published novels, a number of non-fiction books, and dozens of magazine articles. 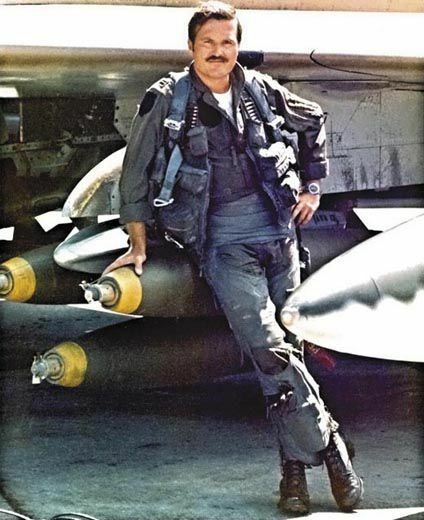 He was a licensed pilot and an Air & Space magazine contributor for more than 30 years, beginning with its second issue in 1986. Posey died on February 9, 2018.